What is in a man’s heart? As a man, you are the only person who truly knows, and the likelihood is that you protect what’s at your very core from other men and perhaps the woman or partner in your life. But it is within your heart where your deepest questions are left unanswered. Fear of being vulnerable or shame keeps us from connecting with another man, yet it is only when we open our heart that these questions get answered. Circles of Men synthesizes, in an easy and down to earth way, what we have learned over a period of six years and more than 20,000 collective man-hours spent connecting with one another in a non-judgmental, safe, and contemplative environment. We draw from the life experiences of academics and tradesmen, gay and straight, married and divorced, men in their eighties and men in their twenties, men of all colors and nationalities, and men from all religious, non-religious and spiritual traditions. In Circles of Men, you will find insights on how we have come together—what we refer to as the Twelve Secrets—practical suggestions, thoughts on leadership, a robust list of unique topics, and much more, all so that you will be able to start a circle of your own. Clay Boykin is a former United States Marine Corps artillery officer who successfully climbed the corporate ladder all the way to a Park Avenue office. His life took a radical turn in 2007 when chest pains while on vacation led to a mystical experience. Other life challenges ensued and several years later Clay emerged from his dark night of the soul a spirit-centered man. 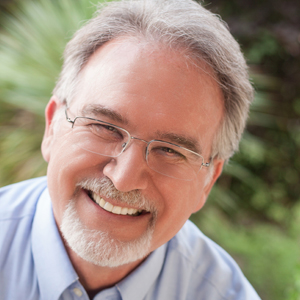 Using his 38 years of business experience and a deeply entrenched servant leadership approach, Clay founded the Men’s Fellowship Network in 2012. He has facilitated hundreds of circles and made long lasting friendships through the fellowship, which has been focused on the overarching theme of male spirituality. In his first book, Clay examines the lessons he and his fellow male seekers have learned from gathering in a trusting and supportive circle of men for several years.